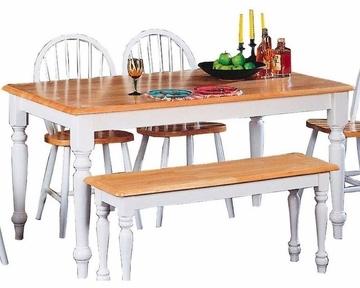 This lovely dining table will be a wonderful addition to your casual dining room. The table has a subtle country charm, with a smooth rectangular table top with rounded edges, above pretty turned legs. 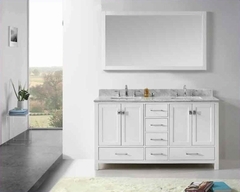 It is available in Natural or a two tone Natural and White finish to complement your decor. Pair with matching chairs for a complete ensemble in your warm and inviting dining room.